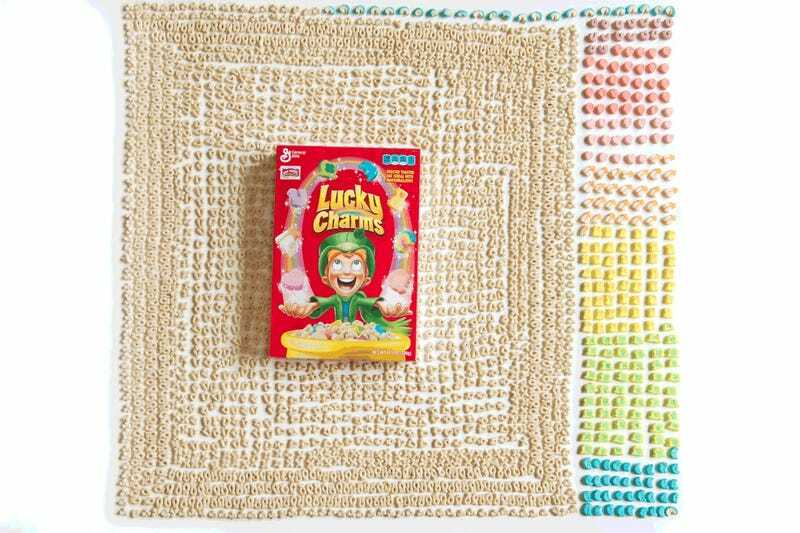 Creating a submission for the hypnotically pleasing Things Organized NeatlyTumblr, General Mills' Hello, Cereal Lovers put an entire box of Lucky Charms cereal in order. It's breathtaking. As a certified lover of breakfast cereals, I've often considered performing similar projects on General Mills' 50-year-old sweetened oat and marshmallow masterpiece. The problem is I generally get to step two — pour the cereal into a bowl — and then replace the sorting step with milk and a spoon. Now I'm tempted to recreate this piece myself, affixing each little shape to a piece of foam board with a dab of glue. Then I'd hang it on my wall and watch it slowly be devoured by ants. Maybe I'll just print this image out instead.